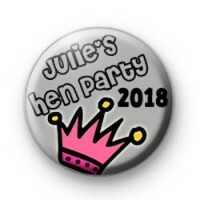 Custom Hen Party Badges. Crown Princess cute keepsake. Party Bride Hens fun. Make sure you let me know the hens name in the box below.